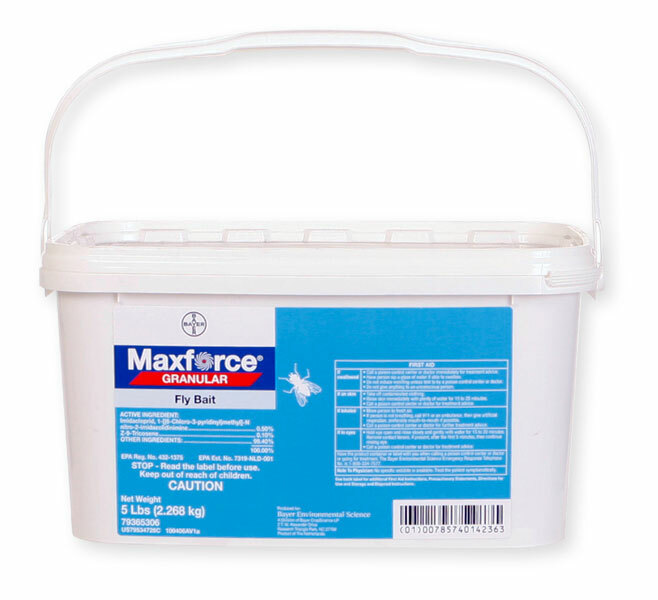 Maxforce Fly Bait is not to used except as a ground scatter bait on commercial properties. Adding it to animal feed would be a violation of the label directions, and would certainly result in harm to the animals. For fly control in dairy's, poultry farms, etc, consider using the Fly Be Gone Fly Trap. Here is a link to the product page.